After ten years of service the original webcam died. The tiny PC it ran on failed, although the ancient Canon A300 digital camera was still working, having taken over half a million photos. The new camera is very much under development. The night vision is much better, but I'm still working on adjusting brightness and colour. The image updates every 10 minutes. I'm working on exactly when it takes the photo. 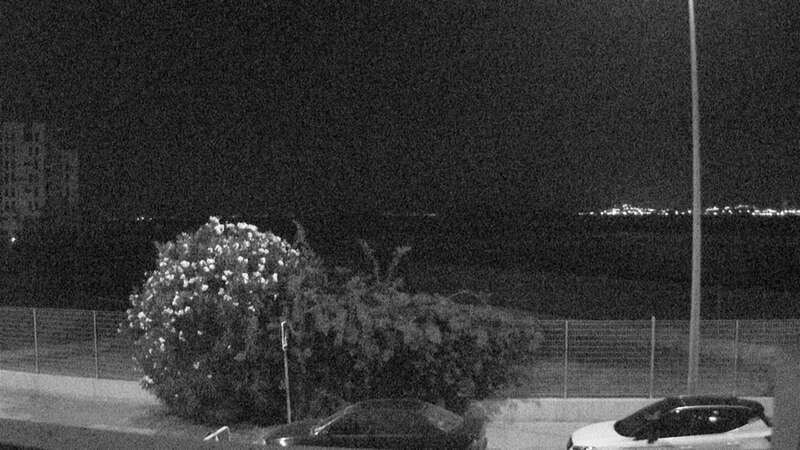 The camera is looking out from Playa Paraiso over the Mar Menor. In the foreground, you can see the corner of the Salinas de Marchamalo and the path from Playa Paraiso to the beach. If you are lucky you will spot some flamingos, or even a twitcher. Beyond the salinas, the bank that you can see hides the wide beach. Beyond that is the Mar Menor and the Isla Del Ciervo. Thanks to the less than 100% reliability of the Telefonica ADSL connection, the camera will occasionally freeze. It is reset automatically every morning at 1 am. The problem is that once there has been a failure, the video server freezes.